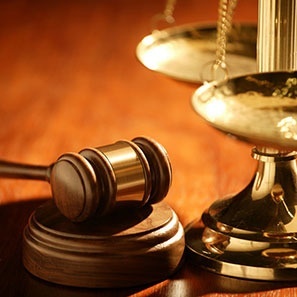 Despite the monumental change in product liability law brought about by the Pennsylvania Supreme Court’s 2014 decision in Tincher v. Omega Flex, many plaintiff attorneys have continued to push judges to give jury instructions based on the more plaintiff-friendly pre-Tincher standard of liability. The Superior Court of Pennsylvania recently made clear that to do so is a fundamental error by a trial court. With a nuanced understanding of the current state of the law, product liability defendants can identify inappropriately proposed jury instructions and guide the court to jury instructions based on Pennsylvania law as it currently stands. In the past, Pennsylvania product liability law revolved around the 1978 Pennsylvania Supreme Court decision, Azzarello v. Black Brothers Company, Inc. Under Azzarello, a manufacturer or seller of a product could be held liable if the product left the supplier’s control “lacking any element necessary to make it safe for its intended use or possessing any feature that render[ed] it unsafe for its intended use.” The Azzarello court made clear that concepts of negligence had no place in Pennsylvania’s product liability law and adopted a pure form of strict liability. In Tincher v. Omega Flex, the Pennsylvania Supreme Court explicitly overruled Azzarello and its progeny and charted a new course for product liability lawsuits in Pennsylvania. Following Tincher, a plaintiff must prove that the product that caused his or her injury was “defective” using either (1) the “consumer expectations” test, or (2) the “risk-utility” test. Under the “consumer expectations" test, a product is “defective” if the danger is “unknowable and unacceptable to the average or ordinary consumer.” Under the “risk-utility” test, a product is “defective” if “a reasonable person would conclude that the probability and seriousness of harm caused by the product outweigh the burden or costs of taking precautions.” Both of these tests incorporate concepts of negligence, making them more defense friendly than the pure strict liability standard that was in place before Tincher. Despite the clear break from prior law announced in Tincher, many plaintiff attorneys continue to submit jury instructions which include direct quotations from the now overruled Azzarello decision. The use of Azzarello based jury instructions in a post-Tincher world was recently addressed by the Pennsylvania Superior Court in the ongoing Tincher litigation. After the Pennsylvania Supreme Court handed down the first Tincher decision in 2014, it remanded the matter to the trial court and instructed the trial court to consider whether the defendant was entitled to a new trial in light of the new standard articulated in the Supreme Court’s opinion. The defendant argued that a new trial was required because the jury instructions given were based on Azzarello, which had just been overturned by the Supreme Court and replaced with a new standard. Nevertheless, the trial court concluded that the jury would have reached the same verdict even if the jury instructions tracked the new standard articulated by the Supreme Court. The Superior Court reversed. In doing so, it held that there was no question that the jury charge was incorrect because it was based on Azzarello and its progeny, rather than the standard articulated by the Supreme Court in Tincher. Further, it was fundamental error, as it dealt with the principal issue disputed by the parties – whether there was a defect. A new trial was required. The Superior Court’s decision underscores the need for defendants to pay close attention to the jury instructions submitted on behalf of a product liability plaintiff. Given the complexity of the new standard articulated in Tincher, it is more important than ever that defense counsel be familiar with the current state of Pennsylvania product liability law. A nuanced understanding of the requirements of Tincher can mean the difference between a pronounced pro-plaintiff jury instruction and one that adheres closely to the letter of the law. If you have any questions or would like additional information, please contact Wes Payne (paynew@whiteandwilliams.com; 215.864.7076), Adrianna Yanez (yaneza@whiteandwilliams.com; 215.864.7049), or Jonathan Woy (woyj@whiteandwilliams.com; 215.864.6354).